Whereas before we only had Christine's first name, we know now that she is Christine B. Follett. The question we are left with is, is she still on vacation? 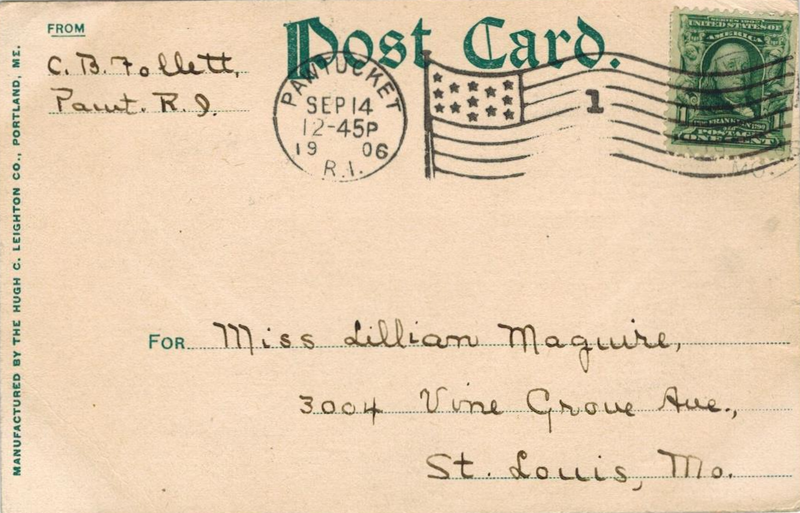 This is the second postcard from Rhode Island from her on this trip. Was Pawtucket her final destination? Was this perhaps a honeymoon trip, ending in her new hometown? This is all speculation on my part! Perhaps this was her last stop before returning to St Louis. 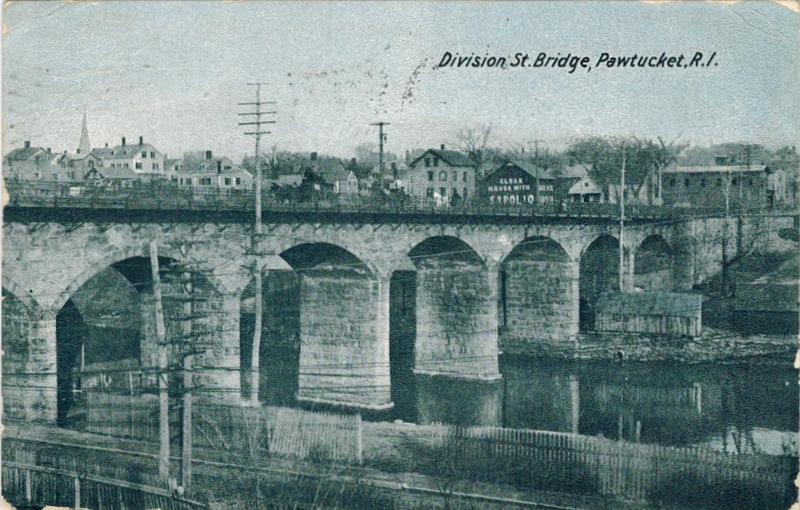 The Division St. Bridge is still standing and in use in Pawtucket, RI, btw. Here is an image grabbed from Google Maps.